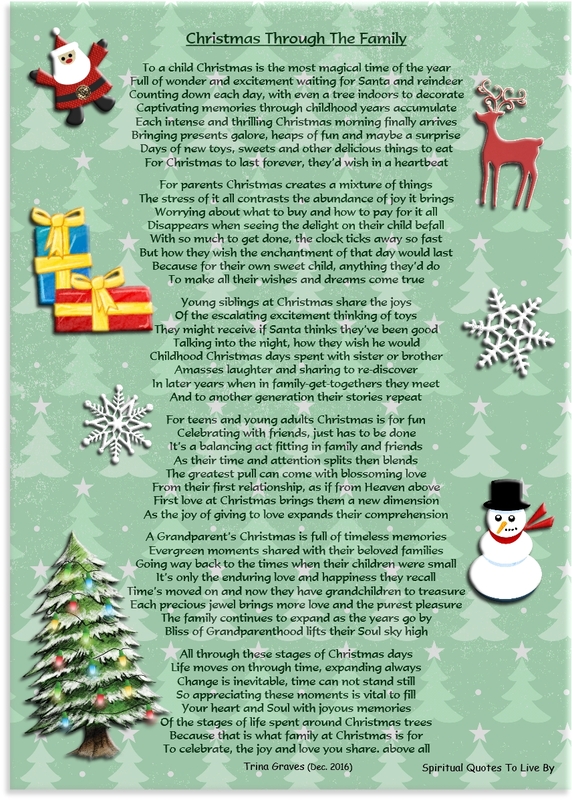 These inspirational Christmas poems were all written by myself (Trina Graves). 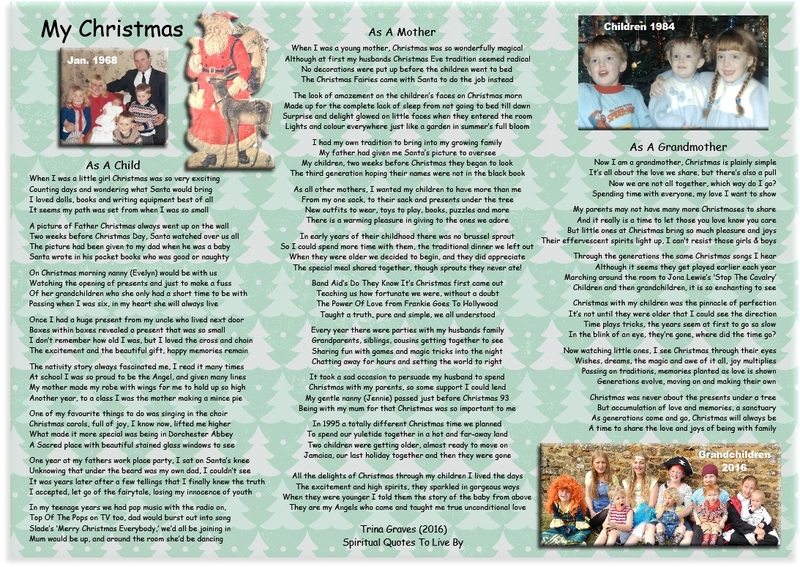 The page is divided into two parts: Spiritual & Family, with the poems listed alphabetically (by title) in each section. 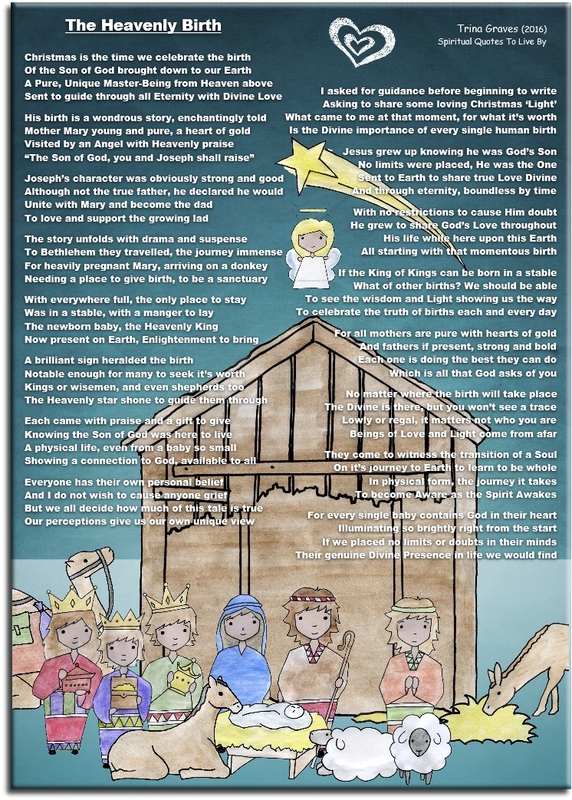 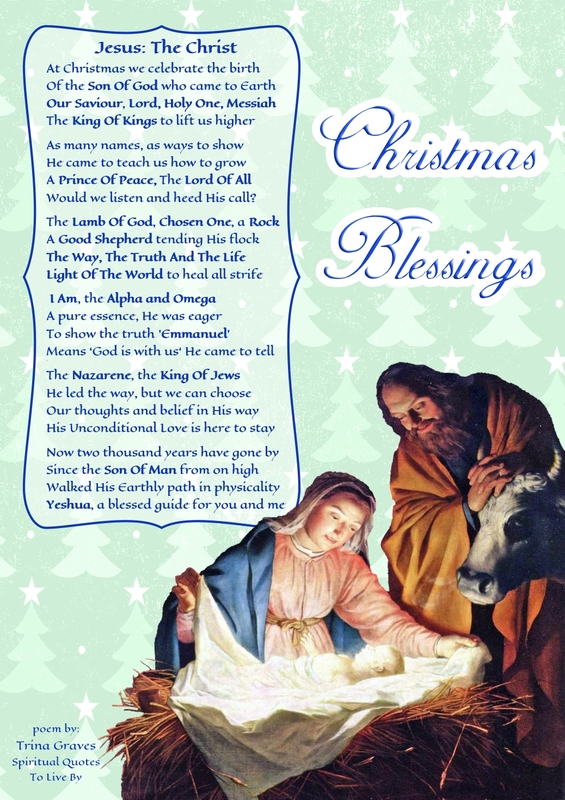 The spiritual poems focus on the birth of Jesus and the message He brings, while the family poems are obviously about families at Christmas time and are not religious. 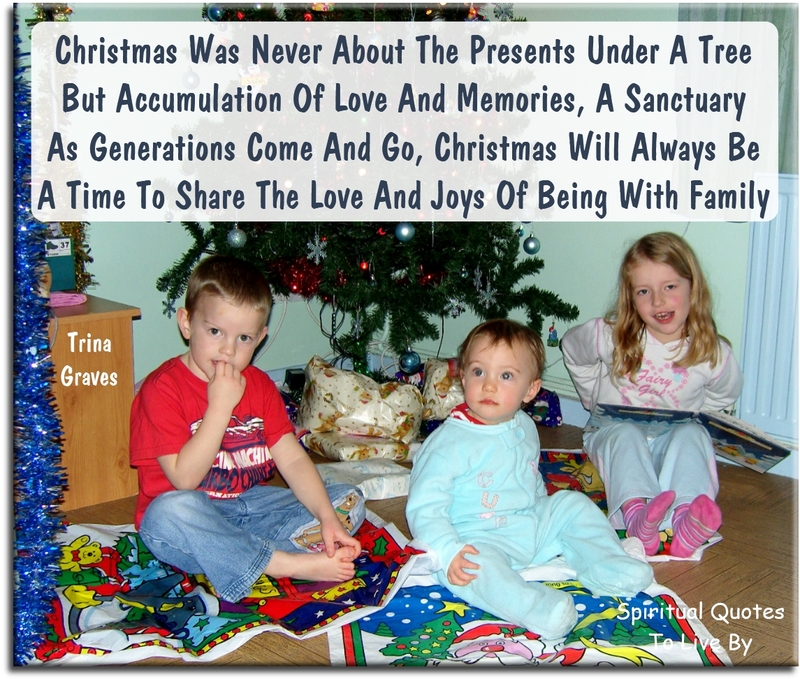 But the simple things never change..